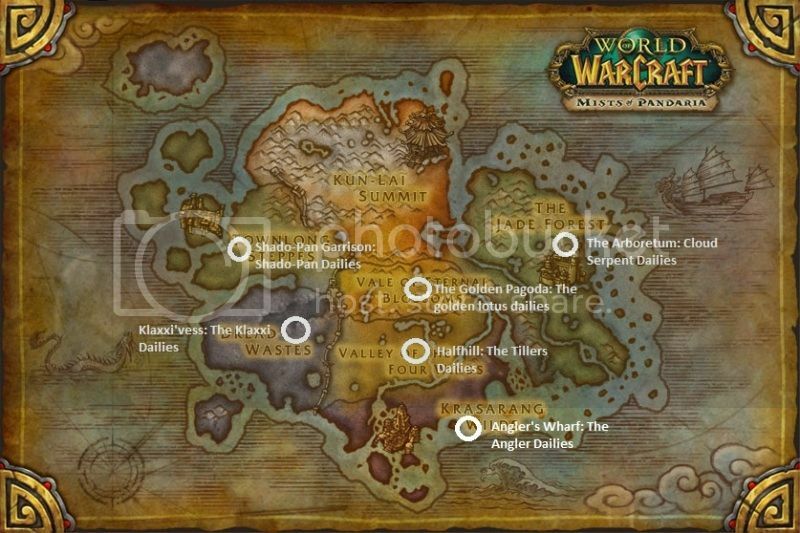 I made this map because I was getting lots of questions from new 90's about where all the daily quest hubs are located, and as I was searching, I didn't find anything like this. The Shado-Pan dailies are not available until you hit revered with golden lotus. The golden lotus dailies start at the Golden Pagoda, but there are two more sets available after your reputation goes up with them. The dailies tell you where to go each day. Also, there is a quest below the flight master platform in your major city to obtain 90 lesser charm of good fortunes, which is done weekly. 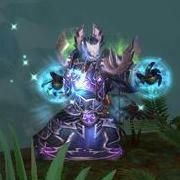 When you turn these in, you get 3 greater charms of good fortune, which can be used to roll on additional loot in LFR, The Sha/Galleon, and in normal/heroic raids. I hope you don't mind, I pinched this for our Guild's website. Attributed to you, of course (and referred back to Icy-Veins). Man, how many dailies are we going to end up with.... Almost dreading unlocking the August Celestial and Shado-Pan dailies. Gonna be dailying all day long. Damn, that's handy! Thanks man! Gonna be dailying all day long. I'm just about to unlock shado pan and august celestials, and I already feel like I'm dilly daily'ing all day long. It doesn't help that NPCscan is constantly distracting me with rare elites. An incredibly detailed physical map of the original World pre-Cataclysm and pre-BC. One of the most incredible physical world maps of the original game, with extreme detail. Just wow. Now it's time to start begging people on the internet to sell me one.